A native Georgian, Pete Pike became interested in the nursery business in the mid-1950s. He started his business with three employees and a 200 ft. by 200 ft. location on Highway 41 in Marietta, Georgia. Times were so hard in those days that he and his employees borrowed water and restroom facilities from the gas station next door. 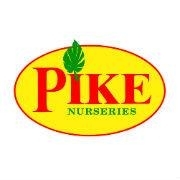 Today, Pike Nurseries is comprised of 400 employees in the peak seasons at 15 retail stores in Atlanta and Charlotte, a landscape installation/design service and a planting service.